Without warning, something has gone terribly awry. In the remote and unnoticed places of the world, small pockets of death begin occurring. As the initially isolated extinctions spread, the world's eyes focus on this unimaginable horror and chaos. Out of the ecological imbalance, something new and extraordinary is evolving and surviving to fill the voids left by these extinctions. Evolution is operating in ways no one could have expected, and environmental damage may be the catalyst. 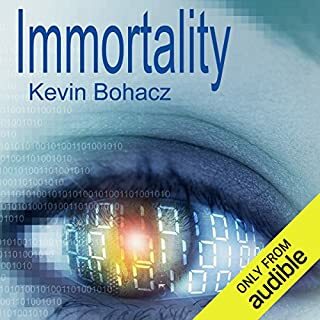 What was most disappointing about Kevin Bohacz’s story? The book could easily have been written as a short story.Immortality, the story just goes on and on and on, seemingly lasting forever. The author needed an editor! At one point I skipped two chapters and easily picked up the story line.I like reading long drawn out stories, particularly if the early action has a greater meaning in the later parts of the book. There is no reason why we need a mile by mile account of a drive across Pennsylvania, complete with descriptions of the passengers of other cars that pass by. This could have been a nice short story rather than a long drawn out epic novel. I'd skip large portions of the book and pick it up a chapter or two later and not miss a beat. A rambling epic of good against evil, a post-apocalyptic novel in the backdrop of a genetically designed viral disaster initiating an unplanned vampric evil upon the world. Reminds me a lot of Stephen King’s novel, The Stand, with the prominence early in the book of a militarily designed and accidentally released deadly virus combined with a draw to evil or good through dreams. The epic nature of the novel also brings to mind Frank Herbert’s novel, Dune, in the way the author evokes futuristic historical recollection to describe the important events unfolding. At times I was disturbed at the undisciplined way the author conveyed the story. 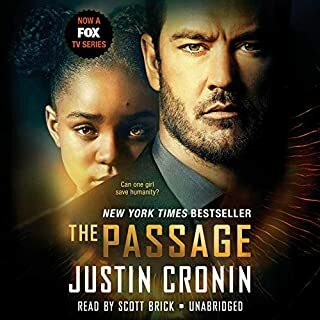 Long rambling passages describe almost meaningless events, such as using page upon page to describe a character’s needs to urinate; by the time his extensive descriptions are finished it was often difficult to recollect where the story was going. It wasn’t hard to skip over long passages to find some more meatier sections. 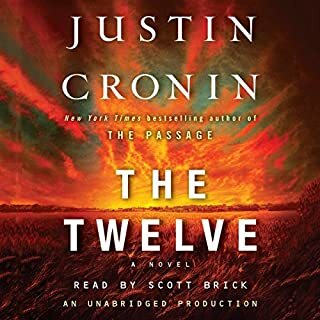 Despite this shortcoming by the end of the novel I was willing to purchase the second book in the series, The Twelve. I treasure the book; listening to the story brought it alive. This is a book you will want to read again and again. 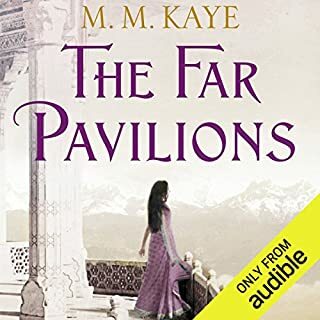 The narrator gracefully reads passages with the accent of the characters, pronouncing foreign words and phrases without hesitation. It is a long story; one you wish would go on and on. As it ends, you wish to follow the characters further. Pity that the narration isn't whispersinc'ed.